There are two major differences of opinion on how our work should relate to our private lives. ⇒ Which camp do you belong to? There are tons of startup entrepreneurs and professionals who have very different beliefs about this. Where do you stand on this? These people believe in working hard as possible, but for fewer hours. This makes more time for family, sport, hobbies... whatever they care most about. They say if you do this - really make time for your life outside of work - your life will improve. ⇒ The concept is closely tied to the "money doesn’t buy happiness" rationale, but there’s more to it than that. At its core, it’s a principle that was born of the regrets of the hardline "Business First" generation. There have been hundreds of articles about missing school recitals, football matches, parties, anniversaries in the name of progress at work. Putting work first has a time and place, and they believe downtime is just as important. These people are closer to the hardline previous generation. They rationalise that their elders may have had zero personal time, but they got results. Halfway through their careers, they could afford sports cars, a home, and maybe even travel. ⇒ If they were successful. The other side of the coin exists, and it can get very ugly indeed. The new school of thought is that the majority of cash loss and morale death happened because they stayed in the game too long. The argument is that getting out when your career has peaked for a number of years is better than slowly killing yourself as you get older. Are you one of these business people? Do you think working now and living later is for the best? It’s always interesting to find out how others manage their lives. I have found some of the best tools available. 1 - Pay With A Tweet: Get paid by virality. 2 - Onalytica: Find influencers in your community. 3 - Name Ch_k: See if your social media accounts are available. 4 - Ruzzit: What's trending on Twitter. 6 - Big Bad Ads: Directory of Facebook Ads - for inspiration. 7 - Shop Bot: Facebook messenger retargeting bot. 8 - Grow’s Microsoft Azure Tutorial: Microsoft Azure’s machine-learning-based content moderator - Automated workflow tool. 9 - Flow AI: Facebook chatbot maker. 10 - Clearbit: Company name to website domain name. 11 - Miml: Pretty email templates. 12 - Texted: Manage SMS replies to the whole group. 13 - OnRadar: Geolocation - within mobile app - customised offers. 14 - Qwilr: Replace your PDF proposals, quotes and presentations with interactive & mobile-friendly web pages that plug into your systems and are as easy to build and reuse as they are beautiful. 15 - Product Graveyard: Finding dead and alternative startups. 16 - Tone Analyzer: This service uses linguistic analysis to detect joy, fear, sadness, anger, analytical, confident and tentative tones found in text. 17 - Good Sales Emails: Copy competitor's sales emails. 18 - Good Email Copy: Emails from other companies. 19 - Subject Line: Ranks subject lines based on data. 20 - Dexi: Scrape any website. Add links for extra points! What pain points are you experiencing? Tell me all about them. I want to help. SHARE this post and FOLLOW me! Some people just don’t understand growth hacking. For those who have put in the hard work and time, it’s a fantastic way to grow a business. You build loyalty, which is the most important part of getting repeat clients. Like anything in life, there’s a way to get results, and a way to fail. Sure, growth hacking can go horribly wrong if you don’t know what you’re doing. The fact is, there are many ways you can start to make a major difference in your numbers. The reason you started your business in the first place. The reason your brand deserves to exist. These may sound too basic to be helpful, but they do help you keep your focus. Without focus, you cannot hope to be productive or successful. Time is a dangerous part of the puzzle. The more time goes on, the easier it becomes to lose sight of your goals. Daily tasks, stresses, meetings, and duties can all cloud up your vision, causing you do lose productivity. Growth hackers measure every aspect of their business, as often as possible. The goal is finding patterns in your results. If you try a tactic that doesn’t work, stop it and try something else. If it does work, find out why it worked so you can replicate that success. You want repeatable results. Anything less is just guesswork, which isn’t helpful to anybody. You’re not spending all this time, effort, and money to have a random approach to your business. There is another side of the growth hacking coin, which gets many startups in serious trouble. While measurements are vital, you have to realise that you’re measuring the behavior of individuals. Business owners sometimes lapse into viewing their customers as data points and numbers. They become little more than results. If this is happening in your business, stop it immediately. Your customers will notice and you will lose them. More than ever, people hate to experience boredom. Nobody will care about your message if it feels impersonal. One of the worst things you can do is to spam people with irrelevant messages in the hopes of gaining a few more clients. It often takes just one irrelevant message for people to start unsubscribing and blocking you. These days, everyone has a very low tolerance for things they don’t care about. It’s often helpful to put yourself in your clients' shoes. Ask yourself how you’d react to the message you’re sending. Think about all the times you’ve unsubscribed or blocked a sender. Being boring, repetitive, and irrelevant will sink your startup. When you come up with a new idea, it’s best to test it first. Choose a section of your client base to try your new approach. The logic here is that if you fail horribly, you won’t be losing all your clients at once. Many startups have lost their entire following over one bad decision. They jumped in the deep end without really considering every outcome. The reason for that is simple. You and your team are human beings, and humans are fallible. There is no way you can predict every possible outcome of your decisions. There are many reasons your plans could fail. Small-scale testing can be even safer when you’re open with your clients about trying something new. Show them you care and losing them becomes far less likely. There are many growth hackers out there who seem to rely too heavily on their tools. When this happens, you end up with a ton of processes and hardly any fluidity. The sales process becomes impersonal and mechanical. How do you feel when you’re treated like a statistic? Alienate your audience, and you’ll lose them. Do you have an overcomplicated sign-up process? Are you asking for too much information up front? Do you have a long, complicated process for canceling a free trial? These are all red flags to potential customers and they will stop trusting you. Are there any brands you’ve used for years? You may not have decided to consciously, but most of us have a product or two we keep buying time and time again. These brands may have built a sense of loyalty with you, or perhaps they just haven’t given you a reason to go elsewhere. That’s the position you want to be in with your clients. You want them to think about you at the right moment. You may have heard older generation business people referring to "staying top-of-mind". This basically means that your client’s go-to brand should be yours. When they’re in a position to purchase, they’ll pick up your product or choose your service because they’re familiar with you. They know what your brand represents and they want it in their lives. Growth hacking is a very broad subject, with new tactics being dreamt up every day. The trick is to know what works for you and what doesn’t. There are lots of new and aspiring growth hackers who ask how to find what works. They’re unsure of where to start and usually, fear failure. Some people even run to growth hacking because someone told them it’s a passive way to generate a following. It isn’t. In the real business world, there are no passive goldmines. If there were, we’d all be rich. The fact is that growth hacking can get you to pretty stable place in your business and help you to grow. Growth hackers are always trying new tactics and perfecting their results. By all means, try other people’s tactics, but be prepared for the possibility that they may not work for you. Your business and your audience is unique. Try new things all the time, and be open about it with your clients. They’ll appreciate your transparency. A growing number of businesses are realising that care is the most important part of their business. Customers have changed. It's not enough to just sell a product or service that matches their needs. They want to feel like they can trust you, and that you actually care about their quality of life. The best businesses genuinely do care. It’s difficult to fake goodwill, and your clients will notice. The more care you show, the greater the impression you’ll make on your customers. It’s all about making decisions that make them want to buy from you again and again. There are so many alternative options to your offering, so you need to be worth coming back to. You can generate this sense of worth by showing your clients that you truly care for them. Often, growth hackers call this "communicating value." This sounds a little mechanical, but actually means that your clients should feel loved. It really is that simple in theory. Showing that love can be far trickier, which is why growth hackers constantly experiment with new ways of achieving this. My friends think my pictures on LinkedIn are embarrassing! They don’t understand why I keep doing it with almost every post I send out. Some people may consider it vanity, having my own face all over my social media. The truth is that pictures get more attention. I know it’s easier to show you my reasons than to explain them in detail, so I did an experiment to prove my strategy. Here’s a post I did with no photo attached. I got 4,025 views, 15 likes, and 23 comments. Not bad, but not my best. Here’s one with a basic headshot of mine. I got 7,091 views, 57 likes, and 28 comments. Much better! I also tested what happens when I use an infographic. This time, I got 1,130 views, 4 likes, and 1 comment. In short, it didn’t work. As you can see, pictures get more attention. By simply adding a picture to my posts, people know who’s talking to them. It shows my commitment to being contactable, involved, and engaged in my business. My friends and family may see my face enough, but my network sees me far less. They don't know me as well as others might, and these platforms help me fix that. Early in December, Clutch released its official Global Leaders List. Featured companies are forerunners in the traditional marketing and creative agencies sphere. With over 7000 agencies listed on the website, and over 11 000 unbiased client reviews, leading the pack is considered a marked achievement. Goodman Lantern is heralded as one of the top market research firms on the list. Within only a few short years, the GL team has grown from a fledgling startup to a force to be reckoned with. Our strong market presence cements us as a firm favourite. In a constantly evolving digital marketplace, GL has adapted its approaches to provide flexible, scalable services to a wide range of clients spanning across several industries. In addition to industry-leading market research services, GL assists lead generation teams and companies in the outsourcing industry by automating their social media management. Our custom developed software tool, helps to increase profit margins, efficiency, and accuracy. GL is led by a team of industry professionals including ex-McKinsey, KPMG, and Deloitte consultants. Each member of the leadership team brings a wealth of experience to the table. With backgrounds in various fields, GL’s leaders are pioneers in the tech industry. 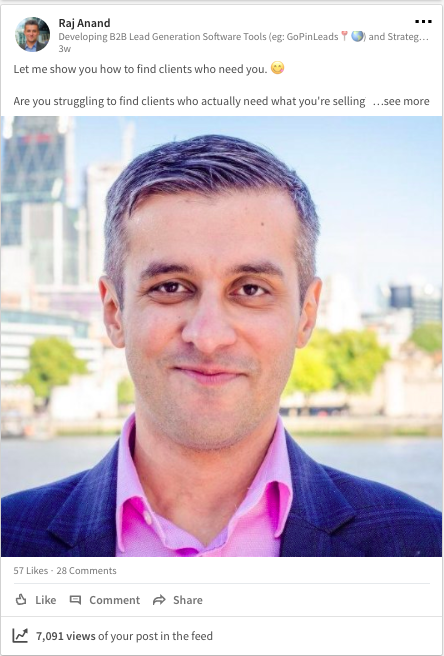 Raj is an accomplished C-level leader with several years’ worth of international experience in leading MNCs, including Shell and the European Commission, SMEs, high-tech research labs for British universities, and digital start-ups. 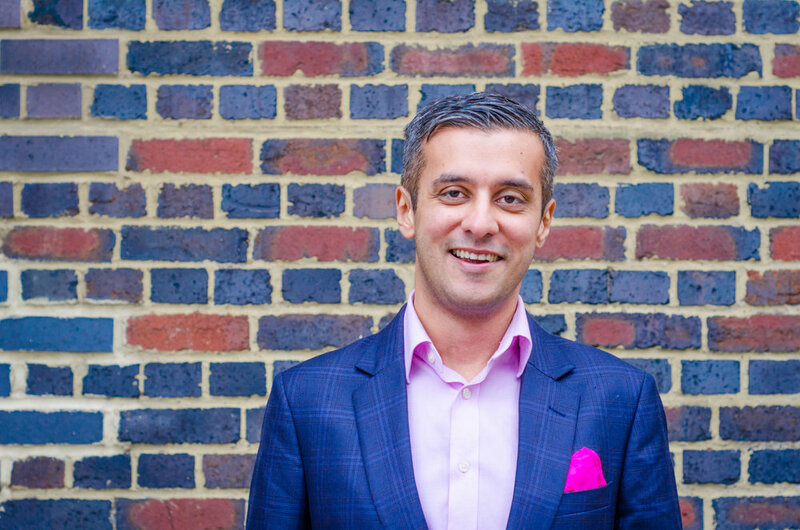 Raj co-founded three tech startups and successfully exited one. 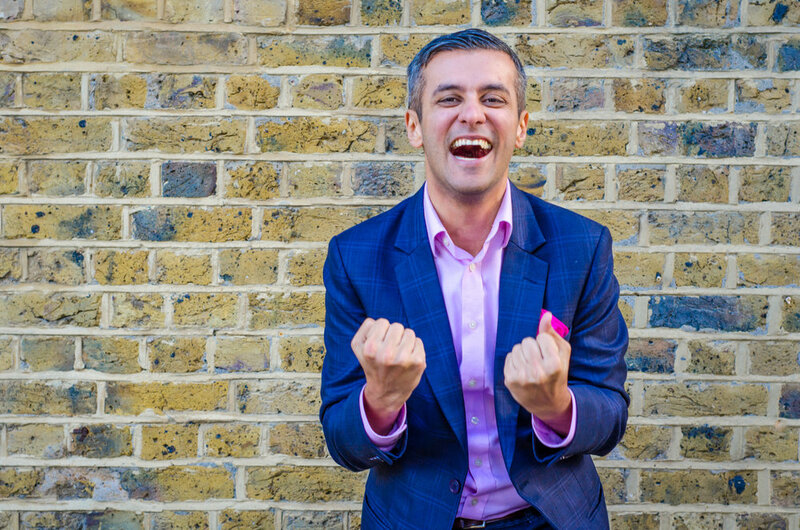 He is the winner of several awards including BusinessWeek’s Europe’s Young Entrepreneur, 50 Most Influential People in Digital – Revolution Magazine, Courvoisier Future 500, and Sussex Entrepreneur of the Year. Kiley Doll has amassed more than 25 years of experience as a business development professional. She has consulted and worked with household brands like Amazon, EO, Long Realty Company and others in North America, Europe, and Africa. Having made her mark in the real estate industry within the Berkshire Hathaway group, she consistently ranked among the top 10% high earning realtors in the company and built a portfolio totalling more than $11.5M. Kiley is also involved in number of charities across the US and Africa. Sumner, a director at Deloitte UK, has worked with various strategy consultancies across the world. As an advisor for leading multi-national C-level executives through all stages of engagements, he was awarded the prestigious MCA Strategy Consultant of the Year 2016. He has PhD, MSci, and MA degrees from the University of Cambridge. Sumner has extensive strategy and analytics experience, including proposition design, advanced analytics and pure strategy, across numerous industries, particularly retail and financial service. You’ll find a growing number of meeting invitations sneaking into your inbox. Trust me, trying to attend them all is only going to burn you out. Losing momentum because you’re distracted isn’t healthy for your startup. You also need to make sure the meetings you do attend are productive. A clear agenda, an effective leader, and follow ups are good signs. Learn to value your own time and prioritize every day. Your whole business exists because of your products. Staying focused on your product every step of the way will ensure your priorities improve. Every decision should be based on the product and how it is experienced by the client. Every change must be checked and placed under strict quality control. Engage with your production process. Embracing failure is becoming more common, and it’s fantastic. It’s incredibly important to balance ambition with humility, but never fear failing. You’ll learn a huge amount with every setback you face. The best way to deal with failure is to use what you’ve learned and quickly change your approach. Take note of the results and constantly adapt in line with your findings. It takes time to find your voice and you’ll get it wrong many times. It’s how you deal with it that counts. Over the past 11 years, I've learned something new everyday. Over the past 11 years, I’ve learned something new everyday. Some days I’d find a great new tool, some days I’d learn a new technique. It’s important to me to keep up-to-date. Every business person needs to evolve with the pack or be left behind. Over the past three years, a wave of new SaaS products have become available. It's hard for newcomers to find the best ones. Often, there just isn’t time to familiarise yourself with all the options out there. I’ve managed to test a lot of them and find my favourites. There’s a lot of pressure on startups to succeed, despite the odds. It’s easy to let standards slip when you’re under pressure, so it’s important to start off by developing some good habits. There are countless startups that fail and disappear because they weren’t financially savvy. Your business is based on solid thinking, careful research, and countless hours of hard work. All of which means nothing if you run out of money. You’ve got to look at your numbers from every angle, and make some intelligent strategic changes. Most owners of startups and small businesses have at least a fundamental grasp of the basic cash flows in their business. If you don’t have a massive background in finance, you’re not alone. The smart move is to build your knowledge and learn more as your business grows. You need to be familiar with your full cash flow, taking into account every expenditure. You’ll have the power to tweak your priorities and develop a model that enhances your profit and minimises your outlay. Don’t hesitate to consult a professional. You can’t be good at everything. Recognise your strengths and come to terms with your weaknesses. In short, do the things you can do well, and find someone else to do the rest. You don’t have to hire permanent staff members either. There are huge numbers of qualified freelancers with great references out there. Do the math and figure out what the best option is for you. This is definitely one area where spending a little cash can save you a significant amount of money in the long run. Don’t spend money unnecessarily, and make sure that you have laid out your budget. You should expect fluctuations in your monthly spending and add this to your plan. The best case scenario doesn’t always happen as much as you’d like. If you plan for the worst, you’ll have extra cash in the easier months. Turning this additional income back into your business is a great way to invest in your own growth. Take care of the bottom line, and you’ll have a much more stable business. AI has the potential to make our lives so much easier. Social media is a great testing ground for new AI tech, and it can save a whole lot of time and money. You’ve got to have a strategy that uses different platforms. You also have to be active and engaging across them all. AI has the potential to reduce your workload. You can get more done in a day by automating your most common tasks. It’s become pretty normal to spend a huge amount of cash on boosting social media engagement. The more content gets pumped into the platform, the harder it is for you to get your content noticed. It’s far more cost-effective to use AI to automate the process. It’s gaining popularity as the tech gets more advanced. Automating the process of posting content is a huge benefit in itself. More advanced tools search for the best content and send it to your subscribers. You boost engagement without lifting a finger. Content creation forms a large part of any marketing budget. Your social engagement hinges on strong content. You need to hold your client’s attention. If you have great content, people will want to read it. They’ll also share it, allowing more people to see your business. The better your content is, the better your engagement on social media will be. You’ve got to be relevant and deliver content that people love. It needs to translate well across the population, or be some form of in-joke for a select industry. Your strategy depends on your target market. There are some fantastic AI tools that find trending topics, posts, and images. They analyse which types of content work well and deliver those results to you. It’s a marvellous way to take the guesswork out of your content development process. There’s too much data available out there. There are over 2.7 billion terrabytes (2.7 zettabytes) of data online. AI systems can do sorting work much faster than humans can. It’s more possible than ever to sift through a huge amount of information for the most relevant details. You can learn every detail of a business’ inner workings from research alone. The amount of information available is so vast that much of it gets overlooked. Using AI to do the hard work for you is much cheaper than paying, training, and maintaining an intern. It’s possible to filter the results to deliver specific information. The GL team and I have developed one such tool. We’re proud of it. It’s called GoPinLeads (http://gopinleads.com). Tools like ours reduce your workload and deliver leads with up-to-date information. Every salesperson has fought with expensive, obsolete data. Details in companies change more often than you think, and AI can deal with that. Automation is the future, and it will save you a ton of time. Startups often underestimate themselves right from day one. Startups often underestimate themselves right from day one. They believe they’re too small and too busy to set up a proper set of procedures for their company. The problem with that is pretty simple. Startups need to grow, and with growth comes additional work, time, and effort. Setting up your sales process into a systematic flow is a fantastic way to begin. If you have a process that everyone follows, it’s easier to track each sale. It also helps with benchmarking which clients are closer to taking the sale. Sales leaders know which of their team members are struggling. It's important to figure out why and do something about it. It also helps to speed things up when you hire a new salesperson. They’ll have the safety blanket of a solid strategy, and training becomes far easier. Having a proven way of working set in place, you can ensure that your values are upheld. Making money is everything in business. It’s often difficult for startups to start bringing in regular cash. Usually, the problem is a lack of leadership and direction in the sales team. Setting a target for them to reach is often overwhelming. Sales managers need to introduce control to the sales process. By outlining the tasks required to lead to a sale. Teach your team to prioritize their time. Break the target down into the number of conversions needed. Bench-marking the process as they go along gives salespeople control over their performance. With confidence and practice, it becomes normal to reach targets early. Salespeople have nerves too! Starting a new sales role and perfecting a pitch can be intimidating. A great way to reduce mistakes is to get your sales team to role-play various scenarios. Repetition builds muscle memory and confidence. It provides a platform for the team to learn from each other's strengths. If a team member is struggling, have them observe a more capable colleague. Learning by watching, engaging, and practicing will make a difference in sales teams. A healthier sales environment means a healthier business. Growth marketing is exciting and never stops changing. Despite all the change, there are some basic ways to boost your Growth Marketing efforts. Growing your businesses means you’ll have more challenges and changes as you evolve. The real secret is to make solid habits from the beginning and build on them. If you take care to get your priorities in line, you’ll build a business with a strong, productive foundation. Growth marketing is all about using great tools in a clever way. It also depends on the skill of the human using them. You and your team are the connecting pieces in the machine. Here’s what you need to know to break out of regular marketing and start your journey to being a great growth hacker. Traditional marketers tend to stick to the channels they’re used to. From a growth perspective, this limits your potential. Growth marketers are always playing with new ideas and incorporating more platforms. Different channels deliver results at different times. Break out of your comfort zone and start trying out the channels you use less often. Find out how they can link together to boost your productivity. Remember that it’s not only about casting a large net to get your product out there. It’s also about arming yourself with the data you need to succeed. You’ve got to stay mentally limber! Switching between tasks and the ability to see the big picture it essential. Your channels and tools need to work together as one organism that feeds your growth. You’ve got to have an experimental mindset, and be comfortable with change. You’ll have to experiment as much as possible to find out where your brand works best. You can try to form a guess from observing your competitors and base your initial strategy on this. The important part is being aware of the results you’re getting, and to keep trying new things all the time. Innovate, and you’ll be okay! You need to realize that every channel has its drawbacks and process. The smart response to this is to develop a solid sales funnel. If you do it right you can limit drawbacks as much as possible. It’s a fantastic way to figure out which clients are at certain points in the sales process. The top of the funnel contains the people who are aware of the issue they’re having. They don’t know about your solution yet. They don’t know your brand, and they need your help to grow their business. The bottom contains the customers you’ve qualified and are ready to buy. You have to pay attention to both of these and each step between the two to be an effective growth marketer. Usually, marketers begin by trying to convert those at the top of the funnel. It’s far more productive to target those further down the process. Doing it this way gets you more paying customers faster, and builds your repeat customer base. When you get this right, you can begin looking further up the funnel. Use your experience to pull those people deeper into the sales process. Have you heard people speaking badly about growth hacking? Have you heard people speaking badly about growth hacking? It happens more than some people realise. It’s a great approach to building a loyal following for your brand. Unfortunately, it can go horribly wrong if you forget the one most important part of the puzzle! 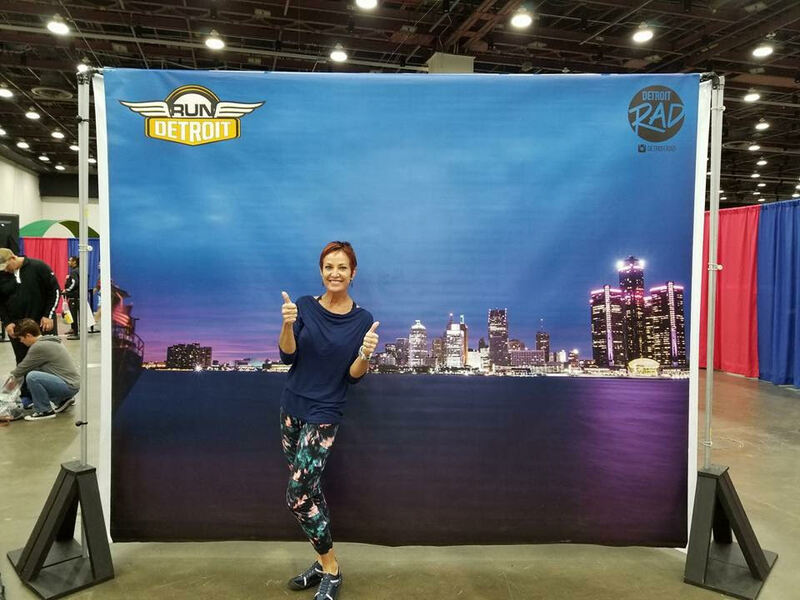 The actual reason your brand exists in the first place? The core of your entire existence as a business? It’s often overlooked because people get their priorities all wrong over time. The most important thing in your business: Your clients! Sure, growth hackers measure everything. We know that the more you try, the more you learn. The way you interpret the numbers matters. Each data point is relevant. The problem is, that you’re actually learning from people. Data points can’t interact with you. Numbers won’t buy your product or care about your message. Don’t lose the individuals in a spreadsheet. They’ll notice and lose interest in you. Being impersonal is a real turn-off. If the messages you send out to people aren’t in some way personal and relevant, you’ll lose your audience. They will stop caring if you obviously don’t care about them. Never spam anyone, and never bore your audience. Jumping right into the deep end isn’t the best approach. You don’t know what could be under there! Make sure you try every idea and approach on a small scale. If it fails in the worst way, you won’t lose your entire customer base with one poor decision. You should really be able to test ideas on a small scale without losing any clients. It’s all about how you do it. Great ideas can go wrong fast when you alienate your audience. If you have an annoying sign-up process, they won’t sign up. If you make canceling a free trial overly complicated, they’ll never try anything of yours again. You want people to like you, right? Never mislead your clients! You always want to be remembered by your clients. You need them to think of you at the right time. Constant live notifications, posting too frequently, and irrelevant topics will hurt you. A fly trapped in your office while you are working is also memorable, but for the wrong reasons! If you overdo your communication, people begin to switch off. You have to know when to hack, and when to chill. You can figure out how to judge this by doing small-scale tests. You’ll notice that copying someone else’s tactics will only work if it translates into your business. Play with some ideas and engage your audience. They’ll love you for it. It’s easy to use a ton of hacks to get a list of subscribers, followers, or fans. If you want to keep them and get even more? Keep your heart engaged, and show them you care. Your care directly translates to your client numbers and sales. Keep them close, and always deliver value! A whole lot of business fail and crash because of the same mistakes. These are so common, it’s hard to believe that errors like this still happen. Growth hacking, when done right, grows the number of repeat clients. You are the only one who loves your idea. You alone see it’s full value and potential. If you can’t communicate that vision and create demand for your product, you will fail. Nobody else cares yet. Startups have failed because they spent time and money on a product that nobody wants or needs. It’s impossible to sell something nobody wants. The wisest way to approach your product development is to test everything. If you find an aspect doesn’t work or isn’t wanted, fix the issue. In short, start by actually being valuable to your clients. Growth Hacking is all about attaining stability in your business through growth tactics. Some businesses think they have to put their entire budget into growth hacking. Many of these go out of business. You have to budget for your growth in a strategic way. Put capital aside to cover the cost of changes and supportive strategies. It’s better to prepare your business for success from many angles. Stay true to the Growth Hacker ethos of cross-platform excellence. You can have more than one solution if they work well together. You’ll discover which avenues fail, and have others to fall back on that work better. Test everything. Every businessperson wants to reach the levels of the big corporations of the world. It’s normal to crave the top prize, but must be done right. If you expect viral status right out of the box, you will be disappointed. You have to set steady, reliable goals for your growth. Realistic, attainable steps allow you to track your growth and maintain forward momentum. Reach smaller milestones more regularly. Continually experimenting with the best approach will keep your business alive. Do you really understand growth hacking? Do you really understand growth hacking? Could you explain it to a total newbie? Some people avoid growth hacking because they’ve been misinformed. Growth Hacking and Marketing both focus on growing businesses. Marketers use marketing tactics and strategy to promote products and brands. Growth Hackers involve themselves in every facet of their business. They focus on the relationships between products and clients. Growth Hackers are on a mission to improve and perfect every part of the business. They want clients to love every part of their experience with their brand. It isn’t. It definitely helps to have an understanding of coding, but Growth Hacking does much deeper. Repeated experimentation, changing tactics, and constant refinement is what it’s all about. If it doesn’t work, do something else. Every business has to constantly grow and evolve. When companies stagnate, they disappear as their competitors leap at the opportunity to disrupt their status. Obviously then, every company will benefit from Growth Hacking. It’s all about making clients and their friends love your business. There are a lot of people out there promising seemingly magical results by using Growth Hacking techniques. Growth Hacking is not magic, and requires a lot of work and strategizing. Growth Hackers work hard to figure out what works, and even harder to keep trying new approaches. Some companies hire a handful of Growth Hacking experts and expect amazing results. That’s not how it works. A company culture of constant experimentation and change, steered by experienced leaders is key. You need to create a company culture of growth hacking and refinement. 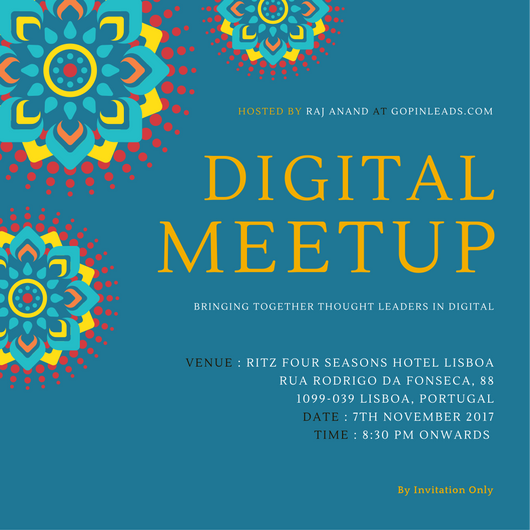 GoPinLeads is organising drinks at Ritz Four Seasons Hotel Lisbon on 7th November 2017 at 8:30pm bringing together Thought Leaders in Digital. We currently have a waiting list of 12. Please email Debra Bryden on debra.b@goodmanlantern.com if you would like to be invited. Video Fruit have nailed their sales funnel. It's a simple, effective way to drive sales that has delivered awesome results. Their email list had 13,528 subscribers when the course went live, and used no ads or affiliates in the launch. The course took 90 days to create. 1: Think about what has gotten the best engagement. Which of your blog posts, videos, or podcasts have gotten the best responses? 2: Which content upgrades have gotten the most attention? If your subscribers gravitate towards certain topics, focus on those. 3: What themes have grabbed the most attention? Check out your most popular posts and figure out why they work so well. Find the common thread. 4: When you know what people want the most, you can begin to craft an awesome product hypothesis. Now you know what people are eager for, write a description of the course based on your hypothesis. The next phase is to see if they bite! You need to be productive with your time. Make sure people will pay you for the course before you build it. Step 1: Select a small group of your email subscribers based on the most interest in your topic. Step 2: Offer them a sneak peak into your course outline and ask them for their opinion. Step 3: When they get back to you with interest in the course, send them the pre-registration link right away. Step 4: When 10% of this test group pre-register for the course, begin building the course. If fewer responses come back, adjust the hypothesis based on your subscriber's feedback. Remember that you can use every response to perfect your product hypothesis. This way, each of your hypotheses will be more polished and attractive to your customers. Your hypothesis will be the base for your sales letter, so this process is very important. - Reference Courses - Students can move through the course, using only the info they need. This is the most popular model. - Specific Path Courses - The opposite of reference courses. You follow the course from beginning to end with no free navigation. These courses promise to deliver a specific result and show you the steps to succeeding. This type of course helps students stay focused, use their new insights, and be successful. - What type of course have you chosen? Specific Path courses need to have a very specific name. - What courses have you bought or almost bought? What were the names of the courses? - Do you like the name? - Is it brief and to the point? - Can you adapt the name to fit your course? - Will people immediately know what it's about? Now you can name your course, using all the insights gained through this process. Step 4: Create a Storyboard. - What will the course achieve? - Which milestones will each student go though? - What is the best way for your students to reach these milestones? Step 5: Create the Content. It's now time to start creating the content for the course. - Your Milestones become your Modules. Renaming milestones is the quickest way to name your modules. - Your Action Items become your Lessons. This is the best way to ensure you're covering everything you set out to. Be sure to keep your lessons to a manageable size. Once you have completed the first four steps, it's time to set the course up. You want it to look great and work well. Step 7: PAS Boosts Sales. - Problem: You have to explain the problem you wish to solve. - Agitate: Expand on the problem and show how deep the issue goes. - Solve: Offer a solution to the problem you've identified. You want to keep your subscribers interested. Staying top-of-mind is essential. A great way to do this throughout the registration period is to keep offering more. You can offer discounts, added freebies, or useful links and tools. Include a deadline to motivate your subscribers to grab them while they're available. Highs and lows in business are normal aspects of everyday operations. Do you waste time by investigating every fluctuation in your metrics? If you focus, you can have far better benchmarking. So Much Data, So Few Insights? Natural fluctuations in your key SaaS metrics will happen. It’s vital to know what “normal” looks like for your business. Most startups struggle with this. Knowing what figures to expect from your SAAS Metrics on a normal day can be a challenge. Analyse how you arrived at the numbers you’re benchmarking against. Be honest - have you done the math or are you visually judging your figures? Guesswork is no way to run a business. Especially when there’s a super-simple way to benchmark your results. Take 20 minutes out of your day to do some easy calculations. It’s good to know your averages, but that’s not enough. The “normal” range of figures for your company will fall on your average line, as well as above and below it. Next, you can begin by analyzing the numbers that fall outside of your “normal” range. You'll need some calculations. You need to understand your Median, and your Standard Deviation. - Median: This is the number in the middle of your data set. To find it, arrange your data from the largest to the smallest number. If you have an even number of entries, find the average between the two middle numbers. - Standard Deviation: This measures the range of your data. It helps to figure out if your data is pretty consistent, or generally differs a lot. If your data is widespread, you need to have a wider “normal” zone. A note on Averages: These don’t work for making business decisions. Outlying data can reduce accuracy, resulting in misleading results. Contacting people using the internet is the easiest thing in the world. The tricky part is contacting the right people. Are you struggling to find clients who actually need what you're selling? Are you sure that your idea of "value" is valuable? You may be missing the mark. Wouldn't you prefer to talk to clients who are already aware of the problem you're trying to solve? It's the smart way to go... Your clients will have already qualified themselves! The important part is to ensure that you are making a good impression from the start. The only way to achieve that is to ensure that your product is worth selling. Your solution has to fit your audience. Remember, you're trying to get these people to switch to your service instead. You need to understand an important truth. People don't hate cold emails and Facebook Ads that are relevant to them. If you're bombarding them with stuff they don't care about (spam), they will hate you. The solution? Don't spam people. - Find out where your competitor's customers spend time online. - Pull the data you need from that space. - Use tools & tricks to make the data work for you. There are a ton of sites out there brimming with customer reviews. It's a goldmine for finding out what matters most to the people you're trying to reach. Once you understand them, you can connect with them on their level. You'll be cold-emailing these individuals, so you need their email addresses. There are tools to get hold of these, as long as you know their first and last names, and their company name. There is a simple, free tool available that does this job. DataMiner is an extension for Chrome that you can set up to scrape the data you're after. You'll need a second extension called Recipe Creator. Download it, open the page you need to scrape, and create a new recipe. It takes some time to set up the recipes, but you can reuse them for any product page on the website you chose. Open up Data Miner and select the recipe you've created. Now you can download the names, positions, industries, and company data. To grab email addresses we need two things. The names of company employees and the domains their companies use. Our recipe gave us the names we need, and Phantombuster can reveal the domains. It's a great automation tool for repetitive data scraping tasks. It auto-checks searches Google for company names, and saves the result in a .CSV file. You'll need to create a free account. When you've done that, select "Agents," and then "New Agents." Delete all the data shown on the form. Copy and paste this script (https://salesfla.re/CompanyDomainRetriever) into the box. Copy the data in the .CSV file into a Google Sheet. Paste the Sheet's url into the available section in the code you pasted. Select "Settings" and make the "number of retries" more than 0. Click "Launch" and a file called output.CSV will download. Now you can use FindThatLead to grab all the emails under a domain, or more specific addresses. For Domain search, you need the .CSV that Phantombuster created. Lead search requires the .CSV that DataMiner created. Remember the .CSV includes the names and surnames, as well as the domains. The full names are in a single column, which isn't ideal. The easiest way to split the first and last names into separate columns is to use Excel. Select the name column, click "Data," and "Text to Columns." Be sure to set your delimiter to "space." FindThatLead only gives you free 10 credits per day, so you'll want to upgrade to a paid account. Phantombuster won't overwrite your data, instead using the first available column. At this stage, you will have a goldmine of data on your competitor's clients. Now you can use those LinkedIn URLs in Dux-Soup! It's an awesome growth-hacking tool that visits LinkedIn profiles for you. You'll be able to get connections, leads, and introductions. Dux-Soup will also pull as much data as possible from these profiles and deliver the results in a .csv file. Paste your LinkedIn URLs into the "Profile" column, and let Dux-Soup do the rest! Dux-Soup will offer to find email addresses for you as well. There is a points system that returns one email address for every one point you have. You can buy points or exchange for your email list. The addresses returned will often be personal Gmail accounts. Most people signed up to LinkedIn with their personal addresses. They also never changed them. You can use these personal email addresses to build Facebook audiences. BuiltWith.com and Hunter Tech Lookup are fantastic sites. You can use them to find out which domains are accessing specific software. BuiltWith.com returns more results, but limits free users to 50 domain results. Hunter Tech Lookup is a free option with no strings attached. The downside is that it is less powerful than BuiltWith.com. Step 1: Find Your Competitor's Clients. Using either of the tools mentioned above, select the software you want to track. Then download the data. Follow the same steps as in Method 1 — Step 4. You have the email addresses you need, but don't have the names. You can't always figure out what their names are from the email addresses. Why should they trust you if you don't even know their name? Virtual Assistants are affordable and efficient with this type of work. While they're matching names, get them to make note of the company roles attached to each person. You want to target decision-makers, after all. Follow the same steps as in Method 1 — Step 3. Cold emailing is still a vital part of selling online. You have to be relevant and avoid wasting time. Your tone should be conversational, yet direct. Clever use of humour can go a long way. On Twitter, friends are those people who follow you, and you follow back. Do your competitors follow fewer people than actually follow them back. Find individuals who are friends with your competitors on Twitter. That way, you're more likely to find the people they care most about. You'll be using their Twitter handles to find their email addresses & LinkedIn URLs. Step 1: Find your competitor’s Twitter Friends. Step 2: Use FindThatLead to match their Twitter handles to their Gmail addresses. Step 3: Use FullContact to find the remaining email addresses. Step 4: Use Dux-Soup to find the LinkedIn URLS. Product Hunt matches new products with people who are ready for a new solution. As a rule of thumb, you can assume that users who upvoted products like yours would also check yours out. Product Hunt links user profiles to their Twitter handles. So you can access them too. Step 1: Get your Product Hunt Developer Token. Create a Product Hunt account if you don't already have one. Click your avatar and select "API Dashboard," and "Add an Application." This can have any name and point to any website. Select, "Create Token." Step 2: Scrape Twitter Handles from Upvoters. Use this tool (https://product-hunt-upvotes.herokuapp.com/) to scrape Twitter handles from Upvoters. BuzzSumo is a great tool. It finds the most popular content within a specific subject, or on specific websites. You can track social media content & shares on Twitter, LinkedIn, Facebook, Pinterest, & Google+. In short, you want to know who is sharing your competitor's content. Step 1: Use BuzzSumo to find content sharers. Create a free 14-day trial account and search for the information you need. Dataminer has a public recipe called "BuzzSumo -Sharers" to scrape their details. By selecting ‘View Sharers’ you can view the individuals who shared specific content. Focus on their Twitter handles. There's a way to use Google Ads to use your competitor's' brand recognition and keywords. - Brand Name keywords are cheaper. Make sure you don't become the top ad. These have high bounce rates and could affect your quality monitoring. Ads lower down get clicks from focused individuals looking for another option. You can also do this on Facebook by going to Facebook Ad Manager. Select Interests, and type your competitor's page name. - Go to Interests in Facebook Ad Manager and type the Page name. - If you get a match, you'll be able to target that page and have it's followers see your Ads. You can broaden your approach to include other similar pages followed by the same people. - Select Audience Insights (or search for it using the search bar). - Insert the page you're analysing and you'll be able to see which other pages are being liked. Does writing sales emails take a lot of time out of your day? Each prospecting email can take around ten minutes to write. Wouldn’t it be better to make the process a lot faster? Carefully reading through your sales prospecting emails is the best place to start. Find the personalized aspects of your email, and try to automate them! - Avoid being too personalized - it’s a waste of time. - Find the personalized sections and analyse them. - Search for data that could replace the section entirely. - Question 1: Can the personalised section be replaced? - Question 2: If not, can company or personal data be used instead? - Question 3: Ifdata not, can a range of data points be combined? - Question 4: Is it possible to find the data quickly? Once you have worked through the process it’s time to edit your emails and add in the personalized aspects of your mail. You’ll save time, send more emails, and get more responses as a result!